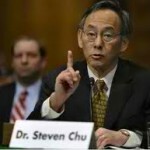 Our esteemed Secretary of Energy, Dr. Steven Chu recently made comments in supporting the intention of bringing LENR/Cold Fusion research and developments to the table. This will “level the playing field” and focus funding and development in creating real solutions to alternative energy production. This is in accordance to President Obamba’s agenda to invest in clean energy alternatives and reduce our dependence on foreign oil. This occurred during this last week-end MIT symposium on lattice-assisted nuclear reactions and cold fusion. Is it just me or does it seem to you that none of this sudden, renewed interest would have occurred had it not been for Rossi’s demonstration back in January. Immediately after the announcement and demo of the E-Cat it was first pooh-poohed by the skeptical community and the main-stream academia doing hot fusion research. After it could not trivially be disproven and the skeptics calmed down somewhat we now have authoritative institutions like NASA and MIT giving the illusion that they have always been active in this realm of research. I could really care less who “invented” this. As long as it gets out into the wild. Apparently, for far too long, people were sitting on the fence trying to decide in which direction to go with it. Whether or not they were in fear of being reviled in public as being crackpots or just plain, poor researchers. Or, maybe they just disbelieved their own results as it didn’t fit into main-stream thought. Regardless, if by the Russians action of launching their Sputnik program they placed a fire under the collective American’s arses to get going with the Space Race - GREAT! 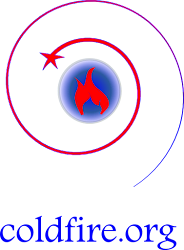 Perhaps Rossi “bringing out of the closet” CF/LENR we’ll now have more attention brought to getting a practical and cheap alternative to centralized, polluting, and expensive energy production. >get going with the Space Race - GREAT! It is true; with Sputnik they had no chance it was beeping above with Rossi they have option to play down; look at mainstream - total silence. >I could really care less who “invented” this. Actually the lesson is to make mediocrity to be more responsible for conformism.